Michael Dale presents the story of David Bowie’s time in his hometown of Beckenham. The Beckenham of today is a quiet, unassuming town, but back in 1969 it was a hub of creativity and of new ideas. A young, long-haired David Bowie moved into town that year. By the time he moved away in 1973, he had made five critically acclaimed albums and was well on the way to becoming a superstar. 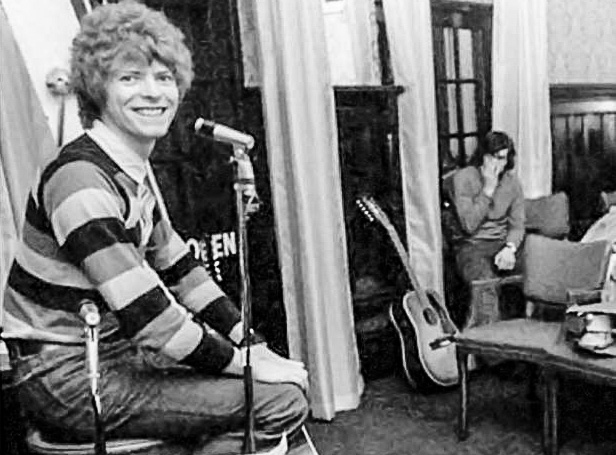 ‘Bowie in Beckenham’ tells the story of how this happened, and is told by the people who knew David at the time and saw his first performances. This programme was made in the summer of 2015, a few months before David passed away in January 2016.